The Junior League of Raleigh (JLR) continues to grow its organization of nearly 1,600 women committed to promoting volunteerism and improving the lives of women and at-risk children in the community. JLR reaches out to women of all races, religions and national origins who demonstrate an interest in, and commitment to, volunteerism. The League’s efforts benefit more than 170 Wake County nonprofit agencies and projects. We seek to expand and deepen our reach in the community year after year to enhance the quality of life and the future of Raleigh. Those interested in joining the League will learn why JLR should be their choice for service to the community, and will learn more about the requirements and expectations of membership. A panel of new members will be present to discuss their experience and answer questions. 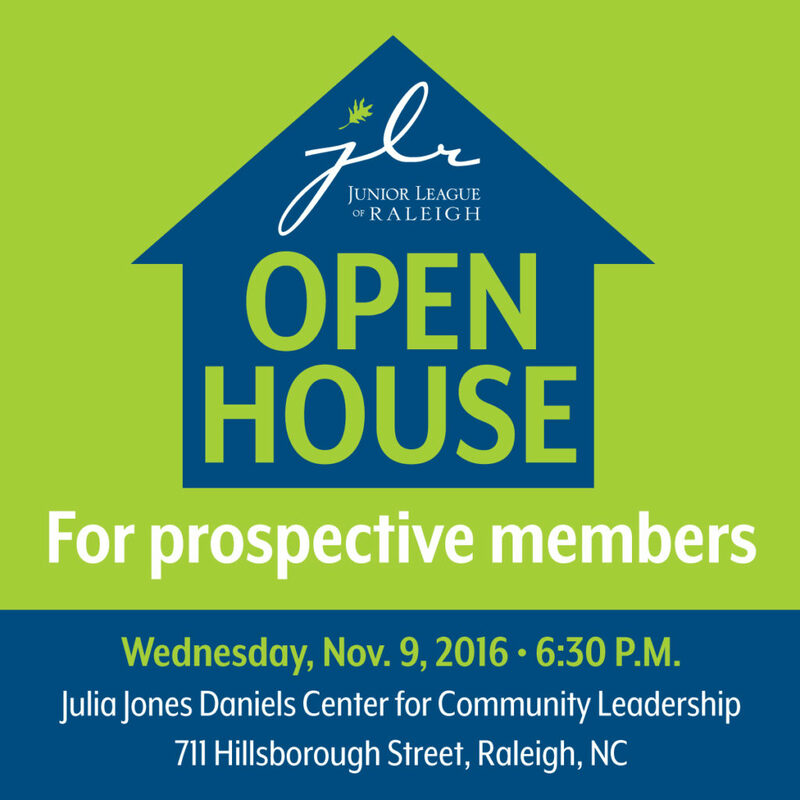 Questions regarding the open house can be sent to prospectives@jlraleigh.org.